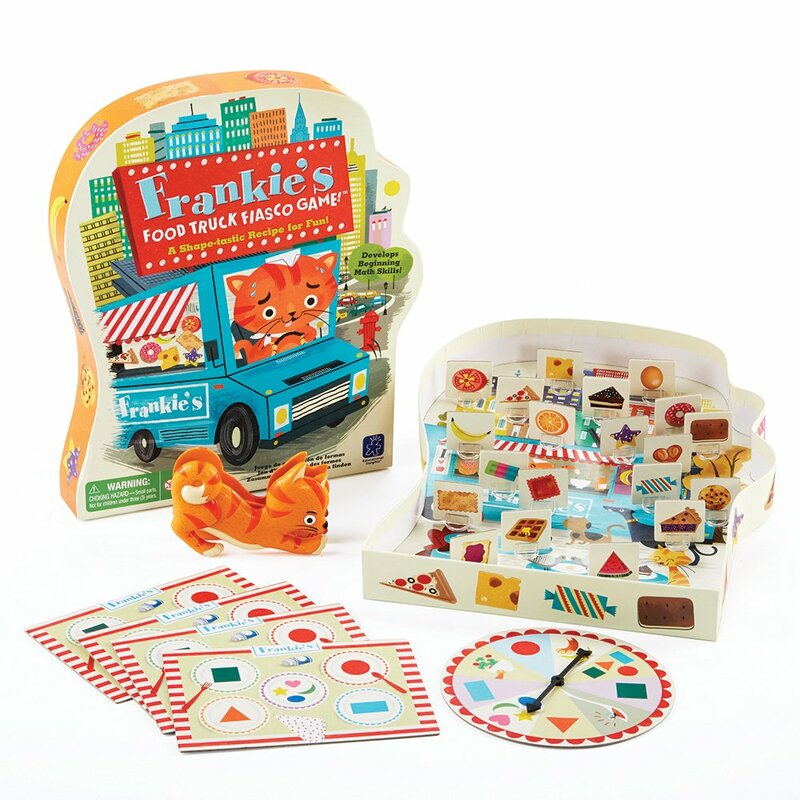 Use the Frankie Squeezer to squeeze and place the pieces of your 5-course meal first, and you win in this fun, foody game! Spin the spinner to place an order and use the Frankie Squeezer to pick up matching food. Fill your 5-course placemat first, and you win! If you're lucky, you'll roll a "chef's surprise," but watch out for pesky flies and greedy guests-they'll slow you down! Helps children learn to identify geometric shapes-a beginning math skill-and develops fine motor and pre-handwriting skills! For the past 50 years, Educational Insights has made it their mission to bring kid-powered play through innovative toys, games and educational tools. A shape-tastic recipe for fun! Business at Frankie's famous food truck isbrisk! Customers just can't satisfy their craving for this cool cat's unique,shape-inspired menu. Kids take turns using the fun Frankie Squeezer to fillorders while they practice identifying geometric shapes, a beginning mathskill, and develop fine motor skills. It's a simple recipe for fun, but watchout for greedy guests, slippery banana peels, and other hazards. The first todeliver a 5-course meal is the winner! For 2 to 4 players. Ages 4+.